Up for a challenge? 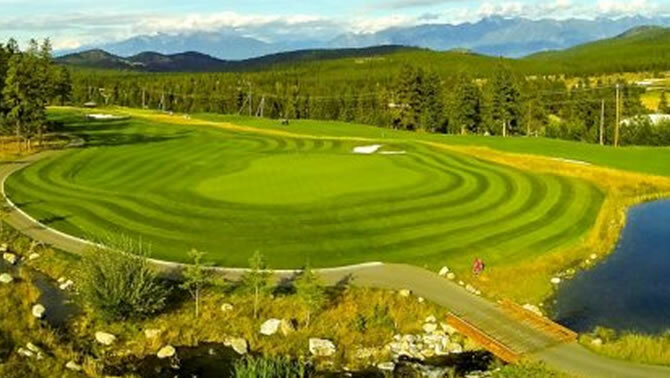 Try one of these courses, all located in the Kootenays, with the longest yardages. 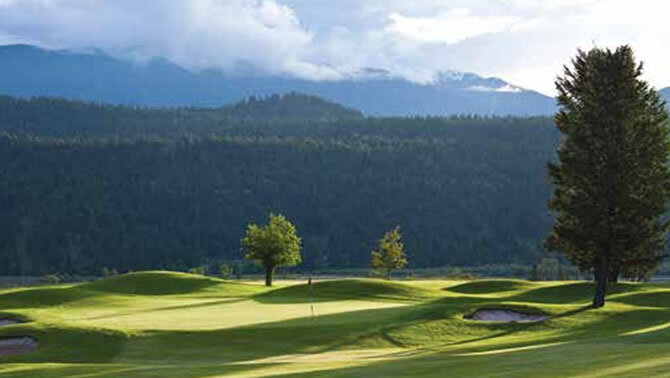 The Kootenay region sports an impressive line up of over thirty 18-hole golf courses. This array of courses attracts golfers from throughout the Pacific Northwest and beyond. 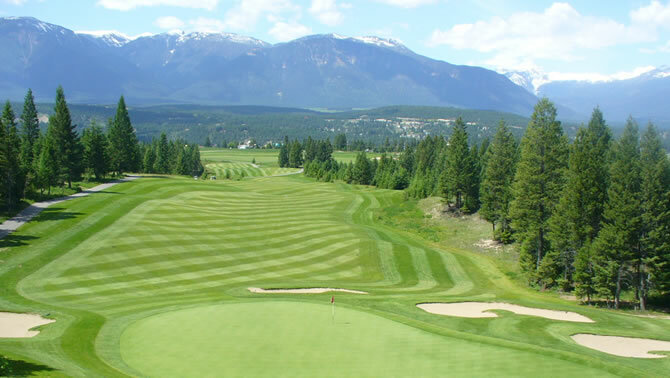 With golf technology continually improving more and more golfers can hit the ball a long, long ways which leads us to wonder which are the longest golf courses in the Kootenays. For those big hitters here is a list of the Top 10 longest golf courses in total yardage found throughout the Kootenay/Columbia/Boundary region. This Cooke Carlton designed championship course features several spectacular elevated tees and long meandering fairways. Its bent grass fairways slice their way through natural pine forests. Shadow Mountain captures the longest course title by almost 250 yards. Located further up the St. Mary river from Shadow Mountain, Bootleg Gap is one of the province's finest golf facilities. It also has a recreational nine hole course that parallels the main 18-holes—popular with junior and senior crowd. 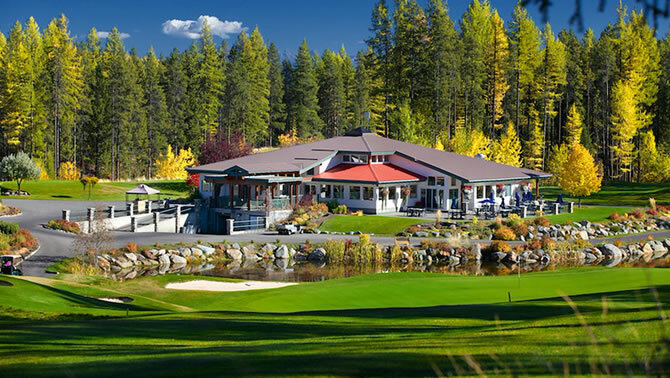 Besides their newly opened $2 million clubhouse Grey Wolf Golf Course is known for its pure mountain golf experience. At an elevation of almost 4,000 feet above sea level your longest drive gets a little extra boost in this rarefied mountain air. Referred to as a “star” in the Kootenay golf scene. Wildstone is golf legend Gary Player's first and only Canadian designed course. With a spectacular vista of the Canadian Rockies and superb playing conditions this "long bomber" is a pleasure to play. Massive greens and strategically placed bunkers make this a golfer's challenge and a pleasure. Sneaking into the 7,000 yards plus club, St. Eugene golf resort is one the region's most popular courses. Located downstream on the St. Mary river this popular Les Furber designed track brings golfers from near and far. 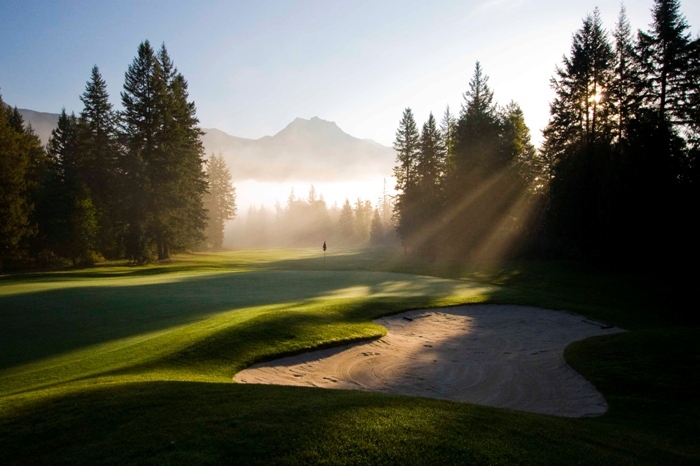 Celebrating their 15th year in 2015, St. Eugene is immaculately maintained and has matured into one of Kootenay Rockies finest golf experiences. 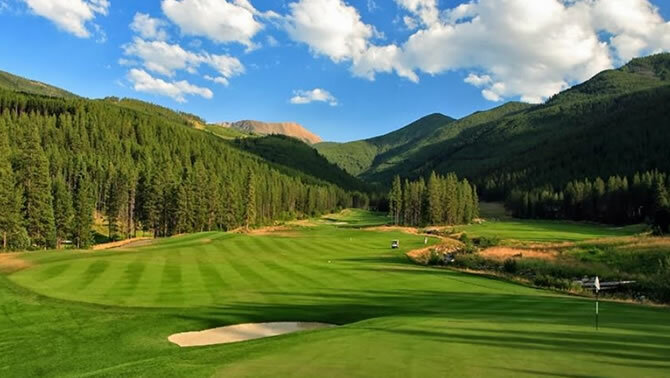 Located at the base of Northstar Mountain, the home of the Kimberley Alpine Resort, Trickle Creek is another true mountain golf experience. With fairways carved out of the mountainside this course has a slope rating of 131 and presents a challenges to even scratch golfers. 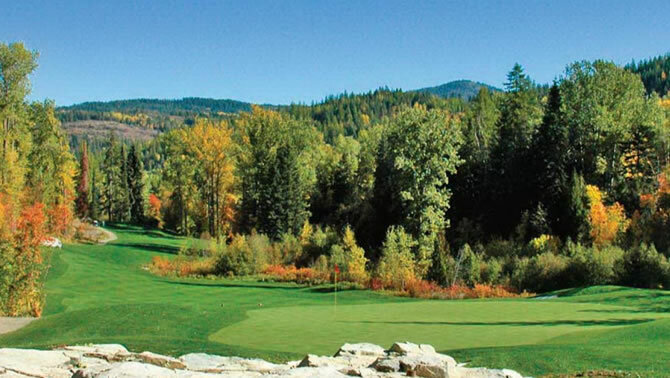 The only West Kootenay golf course to break into the Top 10 longest courses list, Redstone is also one of the region's highest courses at some 3,500 feet. Redstone is heavily tree-lined and features rocky outcroppings, plunging ravines, meandering creeks, tranquil ponds and shiny white silica sand bunkers. 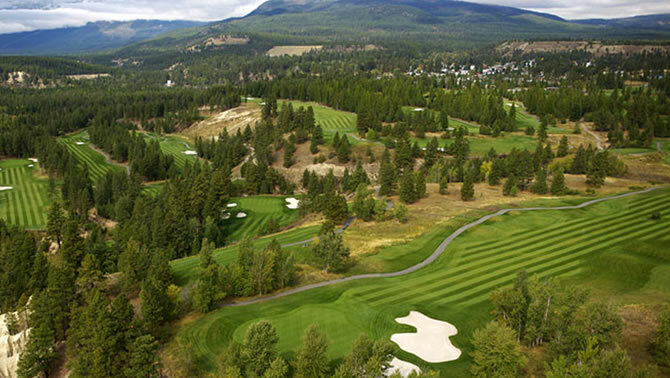 Reportedly one of BC's best golf courses, golf in Golden is both a challenging and enjoyable experience. 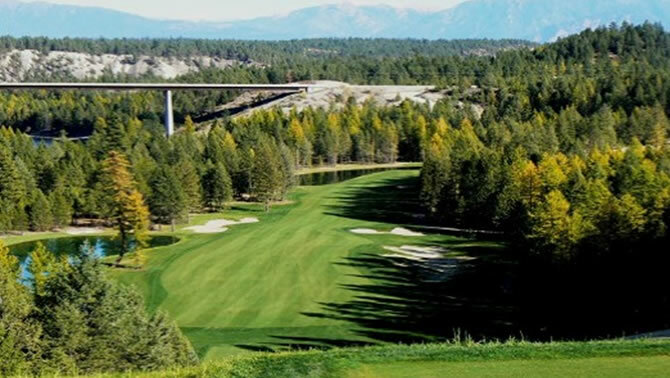 Several glacier-fed streams rush through the course, isolated greens and spectacular mountain views add to the overall play-ability and enjoyment. Golden also has an adjoining RV park and easy access off of busy Highway #1. One of two golf courses found in Radium. The Springs was one of the region's original destination golf courses and another Les Furber classic design. Hanging above the winding Columbia River this superb golf course is consistently rated as one of the region's, if not the province's, best layouts. 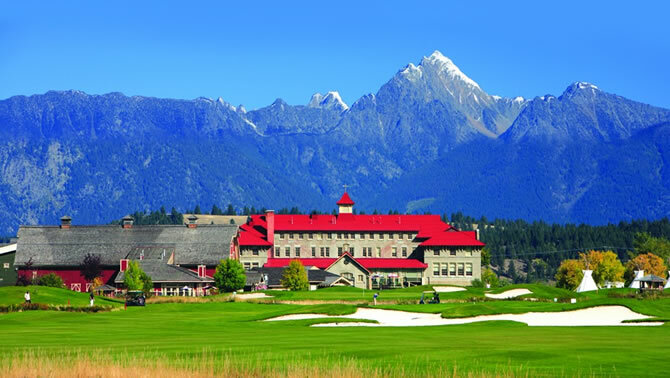 Rounding out the Top 10 longest golf courses in the Kootenays list is Invermere's Copper Point. Opened in 2004 this championship layout has proven popular among golfers of all calibers. It plays as a highly strategic course demanding a golfer reach for every club in their bag. Combine this with a great golf academy and an awesome practice facility Copper Point is on just about every golfer's bucket list.